The community has made their feelings well known with regards to the urbanisation of Wattle Grove East (officially in 2004, 2007, 2008, 2009 and 2010). But once again, we are being asked to comment on the future of this area. The Shire has released their Draft Local Planning Strategy with Aged Accommodation listed as first “issue” for comment (favouring Gavour and Brentwood Roads). The second issue is the faux urbanisation of Wattle Grove East as a “Trojan Horse” to support the same landowners. The Shire appear to operate on the basis that they will just keep asking and re-framing the question until they get the answer that they want. The reality is that without sewerage there will be no general urbanization of Wattle Grove East. Interestingly, according to the Water Corporation there will be no reticulated sewerage in this area for decades! Allowing the Shire’s Draft Local Planning Strategy to proceed uncontested will merely aid to facilitate Urban Development on isolated lots in Wattle Grove East in the name of Aged Accommodation. The Local Planning Strategy is currently open for public comment and submissions need to be sent in by the 11th of August 2011. We are encouraging people to write letters not only to the Shire of Kalamunda but also the Western Australian Planning Commission (WAPC) who will make the final decision. Since the Shire of Kalamunda continue to ignore the concerns of Wattle Grove residents, it is imperative that the WAPC know that we want our area to remain rural. Below are some of the reasons for why the Wattle Grove Action Group (and the majority of residents we have spoken with) oppose the Shire’s Draft Local Planning Strategy. The majority of residents in Wattle Grove moved to the area in the first place because it was rural. We like the trees, wildlife and space. The Draft Local Planning Strategy (DPLS) as it relates to Wattle Grove (east of Tonkin Highway) and the Aged Accommodation proposed conflicts sharply with the rural character of the area and is inconsistent with orderly and proper planning. If adopted the DLPS as it relates to Wattle Grove (east of Tonkin Highway) and the Aged Accommodation proposed would see a huge increase in traffic resulting in the loss of rural lifestyle and values. The DLPS in respect to Wattle Grove (east of Tonkin Highway) and the Aged Accommodation seems to have been formulated by the Shire of Kalamunda in an attempt to minimise local objection to the rezoning of Lot 500 Gavour Road particularly as reticulated sewer is not available to the land proposed as future urban and will not be available for decades to come. The DLPS is based on the fundamental assumption of a predicted population growth of 25,000 by 2031. This is inconsistent with State Government forecasts of 20,000 by 2031 as well as their own forecasts as recently as November 2010 (20,000 over the next 30 years) and even inconsistent within the DLPS document (page 89 in reference to Table 3, 20,000 by 2031). The DPLS is inconsistent with the State Planning Strategy (December 2007) “Vision” statement. The State Planning Strategy (December 2007) is a regional planning policy relevant to the shire, and provides the basis for long term State and regional land use planning and co ordinates a whole of Government approach to planning. Our neighbours on the land immediately to the south of Wattle Grove (east of Tonkin Highway) – (City of Gosnells) occupy land which is zoned Rural under the MRS and I have been advised by the WAPC that there is no intention to develop this land for urban uses. Therefore any consideration to rezone Wattle Grove of Tonkin Highway for Urban uses is premature and not in accordance with Directions 2031 or orderly planning across the shire boundaries. The DLPS is inconsistent with the Outer Metro Perth and Peel Sub Regional Strategy. The Outer Metro Perth and Peel Sub Regional Strategy which is critical to support Directions 2031 and Beyond does not designate Wattle Grove (east of Tonkin Highway) as Urban or Future Urban. To Quote the Outer Metro Perth and Peel Sub Regional Strategy directly Paragraph 9.4.2 page 67, “Wattle Grove has potential for future consideration as an urban investigation area due to its proximity to the urban front and employment opportunities around the airport”. NOTE – “has potential for future consideration as an investigation Area” NOT IS AN “Urban Development Area” as the Shire suggested at the Special Council meeting of 11/06/2011. The WAPC have confirmed my view that the Aged Accommodation second and third preferred sites in Gavour and Brentwood Road do not meet the need to plan for accessible and affordable facilities which are integrated with existing infrastructure. It is my understanding that the Shire is not aware who should demonstrate the commitment to urbanisation of Wattle Grove (east of Tonkin Highway), The WAPC or the Shire. Prior to rezoning the Gavour and Brentwood Road sites for urban uses there should be a demonstrated commitment by the WAPC to the urbanisation of the surrounding area. The Shire does not seem to understand that in the interest of orderly planning and provision of hard infrastructure the Local Planning Scheme should conform with and should be led by amendment the MRS (WAPC control) not visa versa. As the Wattle Grove community have repeatedly stated, Lot 500 Gavour Road (the Shires second preferred site) and Lots 303, 53, 213 Brentwood Road Wattle Grove (the Shires third preferred site) are inappropriate for Aged Accommodation for all of the reasons as previously submitted in respect to the Shires proposed Amendment 18 to LTPS No#3. We want Wattle Grove (east of Tonkin Highway) to remain rural so that our children can continue to enjoy safely playing in the area without the dangers of the increased traffic. We want the area of Wattle Grove (east of Tonkin Highway) to remain rural so that we can continue to ride our horses on rural land in the area. Wattle Grove (east of Tonkin Highway) currently provides a refuge for the dwindling populations of Carnaby Cockatoos threatened by sprawling suburbia robbing their environment. An average Carnaby Cockatoo requires approximately 100 honky nuts each day to survive. 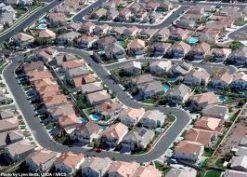 Every tree cut down to make way for sprawling suburbia is instrumental in their rapidly declining populations. We want Wattle Grove east of the Tonkin Highway to remain rural to help protect these birds and other threatened species in the area. The area of Wattle Grove (east of Tonkin Highway) was designated a “Mitigation Zone” federally when recent approval for the development of the Perth Airport was granted and as such this area should be maintained as rural without explicit approval from the Federal Government. We are encouraging all residents and concerned citizens to write letters to the Shire of Kalamunda, but most importantly the WAPC. A letter wizard is now available to help you write your letter.